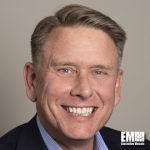 Applied Insight announced on Thursday that it is moving its headquarters from Ashburn, Va. to Tysons Corner, Va. and made changes to strengthen its leadership team. Mehdi Cherqaoui will serve as chief financial officer in a company that focuses on analytics, cloud and mission IT for federal government clients. He joined the company this month and brings extensive financial management and M&A experience to the role. Previously, he served as CFO and COO at Phacil for nearly four years. Cherqaoui has also served in senior financial and M&A positions with PAE, the URS Corporation, PwC and KPMG. He was involved in more than 60 M&A transactions. Led by John Hynes, chief executive officer of AI, the new executive team is designed to focus on customer support, collaboration on the next-generation of innovations and integrated corporate support. The new executive team includes individuals from across the company who are being promoted into new positions and employees from recently-acquired businesses. New headquarters in Tysons Corner will serve as a collaborative hub for the business as it accelerates its research and development strategy around new innovations in cloud infrastructures for federal customers, cybersecurity, big data and other emerging technologies. 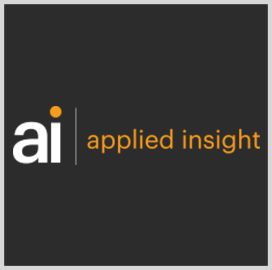 Applied Insight is an agile company solving complex technology challenges for federal government customers. Our next-generation analytics, cyber, cloud and mission IT capabilities are applied to building, securing and sustaining the systems they need, handling their complex data and computing requirements, and giving insights that aid decision making. With a shared culture of collaboration, innovation and passion for the mission, we collaborate seamlessly in developing integrated solutions, combining scale and investment with the creativity and innovation that smaller companies do so well. We stay close to the mission, moving quickly to develop, adapt and apply the latest commercial technologies that enable our customers’ most demanding mission objectives.